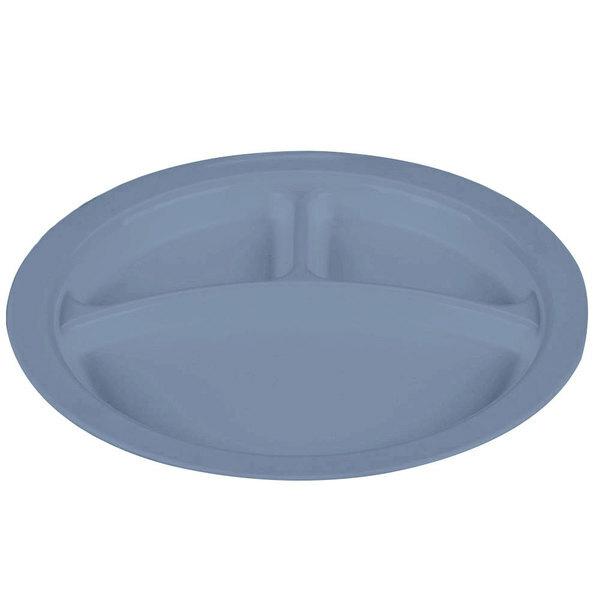 The Cambro 93CW401 slate blue Camwear 9" three compartment plate is perfect for cafeterias, day care centers, and hospitals. 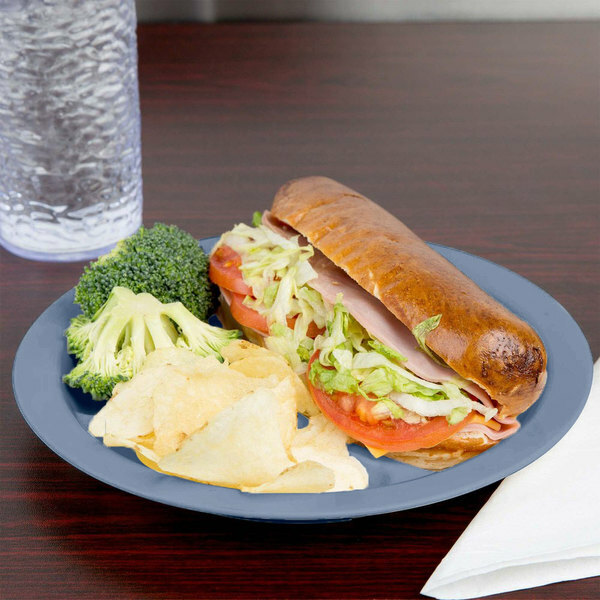 Thanks to its various compartments, you can keep entrees and side dishes separate while you eat. 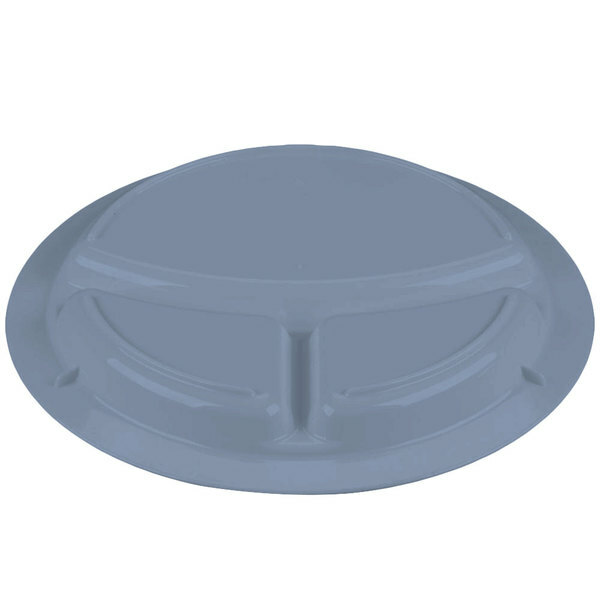 In addition, its textured polycarbonate surface resists scratches, stains, and odors for long, consistent use. 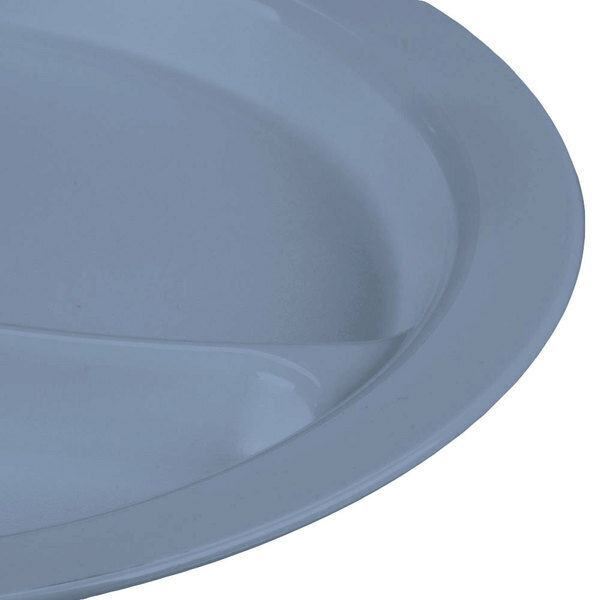 Use this dish to keep the buffet line moving during busy school lunches or during the daily rushes at healthcare facilities. Then, when the day is through you can easily stack the plates for convenient, out of the way storage! 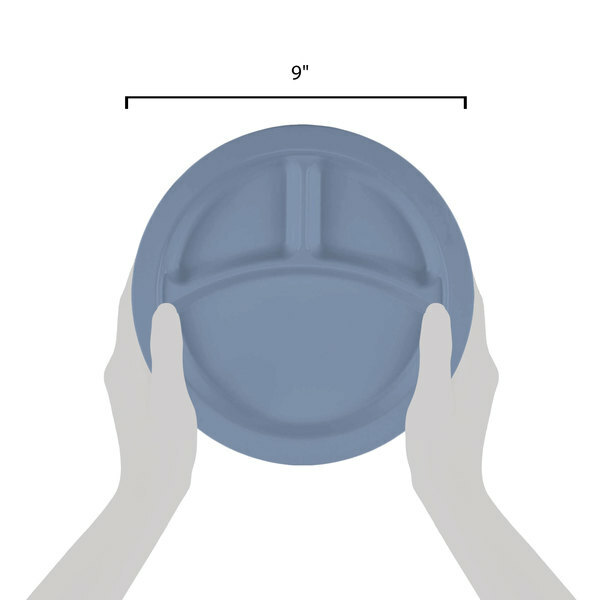 Plus, this plate's easy to clean material will make clean up quick and efficient!